Have you ever noticed that there are some homes that always look they came straight from a magazine? The carpets are spotless, the pillows on the couch are fluffed, you can’t find a single hair in the bathroom, and the kitchen is shining — how do they do that? Well, there’s a good chance that they have a cleaning service working for them who comes in daily to pick up. Or, they’re just the type of person or family who has the right habits to make it happen! But what could those habits be? 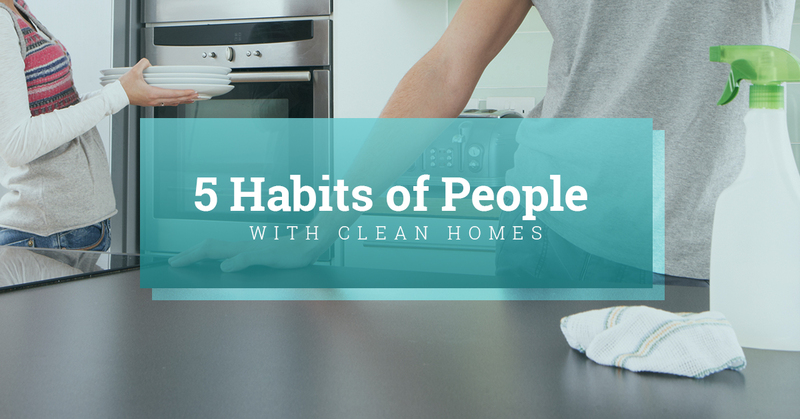 Here are some common habits of people who always have a clean home. We’ve all had those mornings when you just can’t decide what to wear or days when putting laundry away would be a nightmare. So clothes are left out for days. When you take something off of the rack, either wear it or put it back on the hanger or in the drawer. To make this easier, make sure there’s plenty of space in your closet so you’re not stuffing clothes and always keep a laundry basket close by. When there are multiples of things around the house, not only does it take up space, but, especially in the kitchen, you’ll end up using all of them and then the dishwasher or sink is overloaded. Take some time to donate or throw out any duplicates and utilize that extra space! What not to do with the extra space: buy stuff you don’t really need. When you wash your face or brush your teeth at night, are the sink edges soaked? Wipe them down! Did you make cookies and flour is all over the kitchen counter? Wipe them down! When you do this right away, the next time you use the kitchen or bathroom, you’ll appreciate the clean surfaces. You’re also keeping the surfaces sanitized and dust-free. If you ever find yourself throwing clothes on the bed or the chair in your bedroom, remember that they should only be used for sleeping or sitting, not storing clothes. We understand that it’s easier than folding your jeans, putting clothes back on the hanger, or bringing the towels back to the bathroom, but when everything is put away, it’ll make it a lot easier for your cleaning service to change the sheets on your bed. The entryway is one of those spaces that is tidied and then immediately becomes messy again. With the right storage, you can put shoes where they are meant to be and coats back on the rack, instead of the floor, or the dining room chair. Keeping your home clean comes down to making a habit of “cleaning” or simply staying organized throughout the day and week. After cleaning thousands of homes in the Spokane Valley area, our cleaning service has seen it all. And we also know what it takes to keep a house clean in between visits. 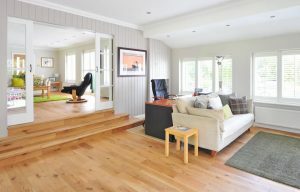 Start with these tips and if you need additional advice on how to keep your house clean, check our blog often for updates. As always, feel free to give our cleaning service a call with any questions or to schedule a walkthrough.